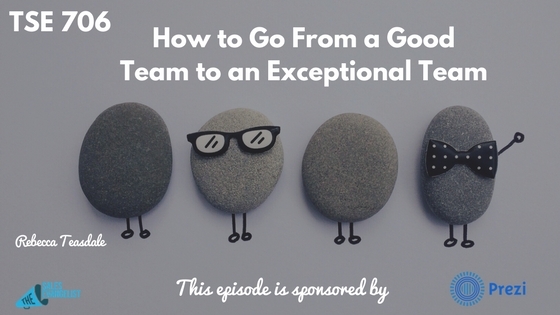 How do you move your team from being good to great? Rebecca Teasdale is the co-author of The Loyalist Team. Learn how you can apply some tips and strategies from this book into your own sale process. The other co-authors of the book are Linda Adams, Audrey Epstein, and Abby Curnow-Chavez. 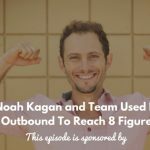 Whether you’re the team leader or the manager or a member of a team or department, there are so many great gems in this episode. This is based on the model for the types of teams that all teams fall into. The books allows you to identify and recognize if you’re on a great team, a bad team, or somewhere in the middle. This allows you to diagnose your starting point for any other business process. Once you know it, you know where to start and what actions to take. There is about 15% of teams with this type of team. Teams are governed by a lot of distrust. People are motivated by having the best recognition or the best project or the next promotion. People undermine each other. They’re afraid and are not able to do their best work. People hold each other accountable. 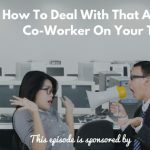 They will call each other out when they see someone struggling or not doing their best work. They’re just as committed to the success of their peers as they are to themselves. When they see someone struggling or having a bad day, they’re able to step in and help the person rebuild their confidence or give the help they need. No active undermining but very much set down mentality of not wanting to get involved. This is a good team, but not great. They’re good on the surface, but they’re missing a couple of the key ingredients. Be very intentional about being a good team but be armed with the right knowledge. Talk about what things don’t work and be comfortable with that. Have the ability to talk about these types of issues. The loyalist team is 2000 times more likely than a saboteur team to be viewed effectively by their internal customers. They are 50,000 times more likely than a saboteur team to detect conflict when it arises and do that in a productive way. A loyalist team is 106 times more likely to give each other hard feedback. Start by understanding any relationship on the team that are not loyalist relationships. Then work hard on finding common ground. Show up in a supportive way for those people. Give them the knowledge you want them to succeed. Start being willing to have difficult conversations as you’re asking them how to be better. Then go from here.